Eva and Tobias had lots of fun this week. Here they are playing at the zoo. 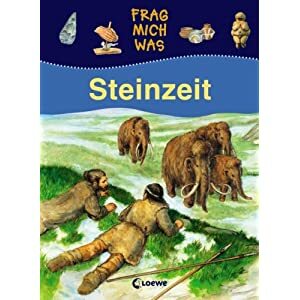 Although we were mostly busy doing outdoor activities since the weather was wonderful, we did buckle down and do some Stone Age learning activities. First, we made our own salt dough and used it to craft some stone age weapons, such as arrowheads and grinding tools. This was Tobias's great idea! 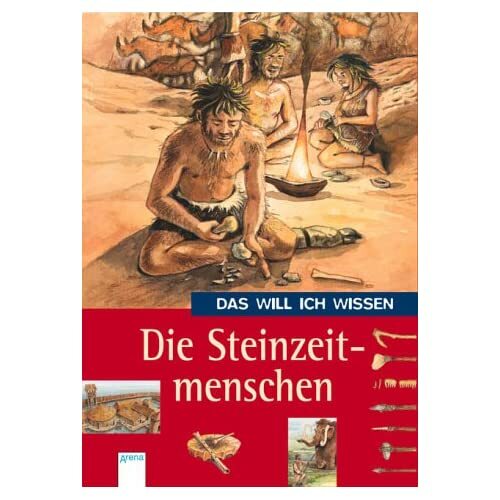 We used some books on the stone age as inspiration. The next activity we did was cave painting. We read about the mysterious cave paintings and decided to create our own. First, we soaked copy paper in black tea for several minutes to "age" it. We also crumpled it so it looked a bit like a cave wall. Then we used watercolor pencils to create some prehistoric masterpieces! Here is our finished paper, along with the watercolor pencils and books for inspiration. The kids are hard at work making their cave paintings! The original cave paintings were often signed with a hand print. This gave us the idea to craft a present for Daniel using the hand prints of his 3 wonderful kids! Eva and Tobias were keen on making another gift for Daniel, so I cut out some letters from craft paper and had the kids pose with them to spell out "Dad". Even though they call him Papa, I went with "Dad", since this seemed easier than having another child to hold up the 4th letter. We also spent some days at the Freibad since they weather was lovely and the kids love to swim. Here is a videos of fun at the Freibad. I love Eva's happy dance! Finally, we borrowed an awesome playmobil set from the library that both children enjoyed! Have I mentioned before that I am a big fan of the library? I recommend playmobil to everyone! Even I never get bored with it.